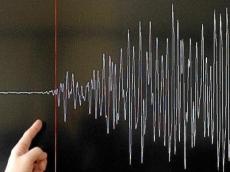 A 4.8-magnitude earthquake has shaken central Turkey, the European Mediterranean Seismological Center. The epicenter of the quake was located 98 kilometers northeast of the Adana city. The seismic center was located at a depth of six kilometers. There have been no reports about victims or possible damages.